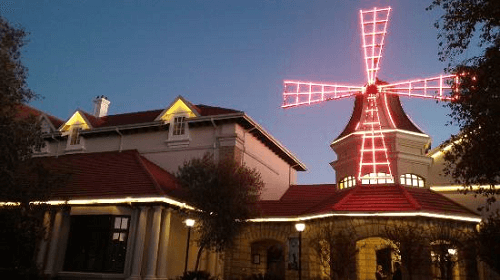 Flanked by a red windmill on the right, Windmill Casino in Bloemfontein, Free State, is a premier gambling destination in the province. There’s plenty to do in the Sun International run casino, and visitors can expect the very best in entertainment. Let’s take a look at why this is the place to be in Bloem. Turn game nights into unforgettable evenings at Windmill Casino. With 403 slot machines and 19 game tables, there’s something for every gamer. Also, they hold regular promotions and special offers. For those who want the VIP experience, there is the Salon Prive, a gaming area with private slots and tables reserved for the high rollers. Guests can access these if they are high on their Most Valued Guest (MVG) programme. Give your skill and luck a try at Windmill Casino. Conveniently located near the casino, the Windmill Lodge is an elegant 80 room boutique hotel. It’s perfect accommodation for a just a stopover or a weekend-long getaway. The lodge has a bar and swimming pool, and round-the-clock room service. The options are plenty here. Some restaurants are well-known franchises, like Ocean Basket and The Golden Nugget Spur. While there’s Rosies Brasserie, a Moulin Rouge themed buffet restaurant for those looking for something a bit extra. For guests searching for cocktails and live music, there’s Diamond Lil’s. The Can Can Bar, inspired by the French burlesque dance it’s named after, also provides some fun with drinks and light meals. Diamond Lil’s hosts a karaoke session every Thursday night. On Saturdays, local DJs and live bands perform at Diamond Lil’s. Also, they host a number of events regularly, to check their website to find out what’s going down. There’s also a creche and spa at Windmill Casino. Those with young children who are looking for some quiet time can drop them off with the qualified caretakers and enjoy a relaxing massage at the Desired Images Spa. 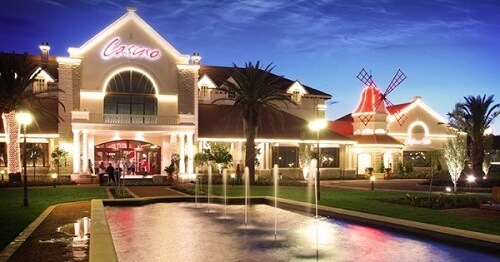 For more on casinos in the Free State province stay with CasinoZA.com.